Lenovo HW02 Plus MIO PAI Smart band is a device that makes you live in healthier and more intelligent lifestyle. It helps to monitor basic physical indicators like heart rate and sleep that you can know your body condition better. 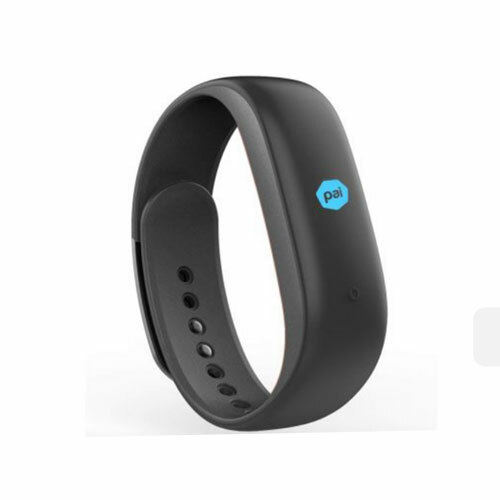 It tracks steps and shows you how you're stacking up against your daily goals. If you're hunting for the perfect blend of accuracy, style and compatibility, you'll find it hard not to love the Lenovo HW01. Lenovo's latest HW01 smart bracelet still wows with its elegant look but it now offers a nearly-bezel-free display that gives you more to look at without taking up extra space. Even its battery life has seen a pretty big increase and will now last about 5~8 days on a charge. Fitted with a 0.91 inch screen flaunting a 128 x 32 pixel resolution, Lenovo goes with the ABS material for its body instead of going for an aluminum or stainless steel. On top of that, the screen is scratch resistant, apart from a water-resistant rating of IP65. Under the hood, the bracelet connects with your Android and iOS smartphones via Bluetooth 4.2 connectivity. Despite the capability of almost all the commonest calculations like pedometer, distance calculator and calorie counter, it still has something that blows the others out of water, anti-lost, dynamic heart rate monitor, remote camera for instance. Take Reality To The New Heights With DREAM VISION PLUS.Built Superior For Comfort, Style And Durabil.. PRODUCT DETAILSHighlightsSolar panel power of 0.4WOutput current of 500maCharging time of 10-12hrsSa..
Skmei Kids Watch for Boys 1272 + 1241 + 1239..
Technical SpecificationFarm: 57.21 145Colour: Black & Gold Lens Color: MirrorBra..
Skmei -1240, Kids WatchSkmei -1144, Kids Watch..
Aluminum Folding Camping Picnic Table With 4 Seats Portable Set , AFCP ..